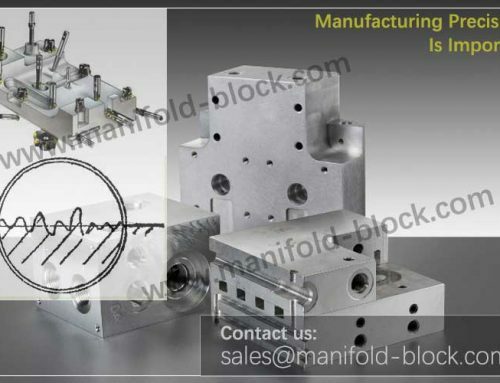 The design of hydraulic manifold block design mostly belongs to the custom design, according to different conditions and requirements, hydraulic manifold design divided into the following steps: material, machining and heat treatment, to burr and cleaning, rust proof surface treatment and test. – Working pressure P<6.3MPa, the hydraulic valve block can be used to cast iron HT20 a 40. Cast iron castings can be cast in large quantities, reduce working hours, improve efficiency, especially suitable for the standardization of the hydraulic manifold. – 6.3MPa is less than or equal to P<21MPa when the hydraulic manifold block can use aluminum alloy forgings, 20# forged steel and Q235; low carbon steel welding performance is good, especially suitable for hard tube and non-standard (used in many valve block and hard pipe welding) welding. – P = 21MPa, hydraulic manifold can be used 35 forged steel. 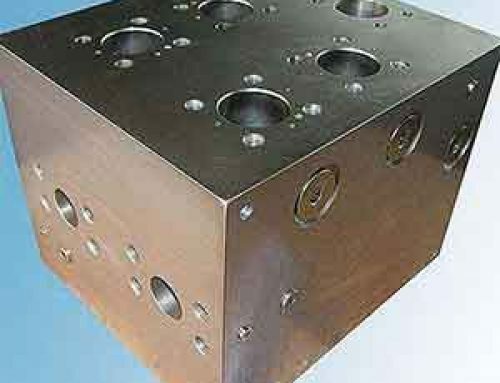 After forging direct machining or processing after the conditioning process HB200-240 (generally high pressure valve block, often crack detection, machining and heat treatment cycle). (1) Processing before manufacturing . 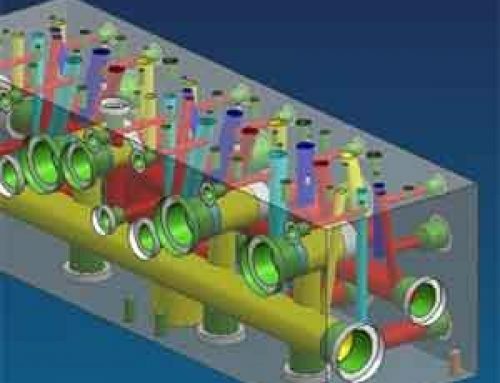 Processing hydraulic manifold of the material needs to ensure that the internal structure of the dense, not laminated, such as defects, processing before the blank test. Aging treatment and pretreatment should be carried out before the cast iron block and large steel block are processed. Generally at least leave at 2mm machining allowance. 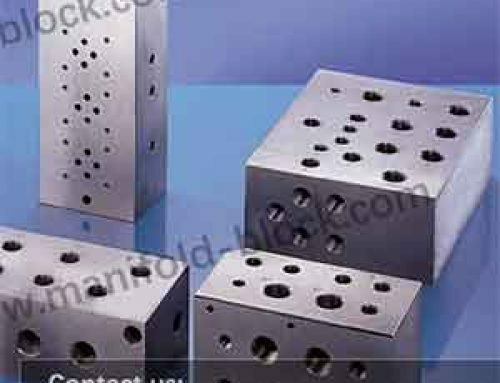 Milling hydraulic manifold 6 surface, each side to leave 0.2-0.4mm coarse grinding. 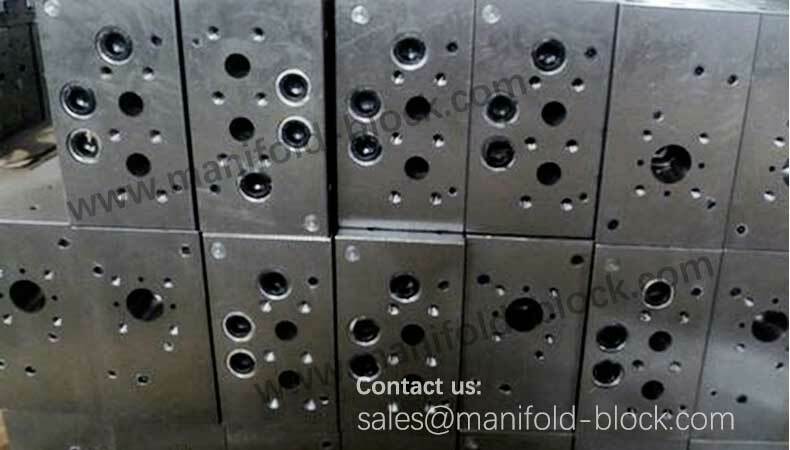 Coarse grinding hydraulic manifold 6 sides of surface, each side left 0.05 ~ 0.08mm grinding amount to ensure each of corresponding parallel degree less than 0.03mm, two adjacent surfaces of verticality less than 0.05mm. 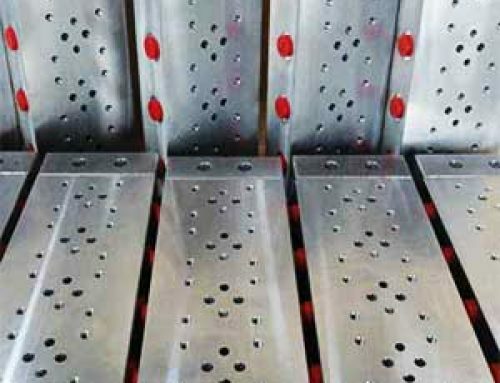 The condition can be directly used in the CNC drilling machine to complete. 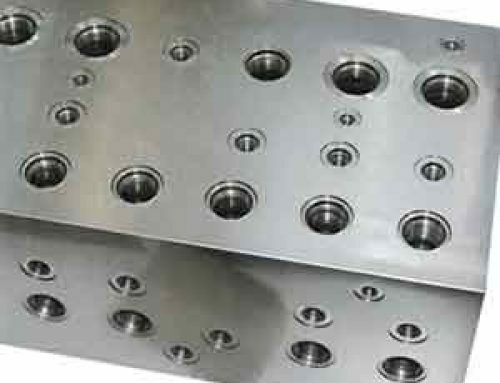 The surface roughness of each hole is Ra12.5. Grinding hydraulic manifold 6 surface, the surface roughness Ra0.4um. 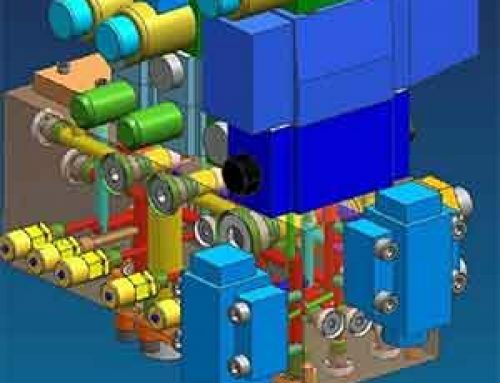 In order to ensure the cleanliness of the hydraulic system, the hydraulic manifold blocks must be made to burr. At present, many manufacturers still use manual brush deburring, also uses methane deburring blasting method. After the valve block to be completed by the end of the endoscope inspection, to ensure that the burr cleared. In the end, the hydraulic manifold is cleaned. Remove all kinds of particulate contaminants, corrosion, grease, etc., which are attached to the surface of the valve block. In order to ensure that the hydraulic manifold block in use will not be too early to rust, rust treatment must be carried out. Hydraulic valve block of internal oil path by pickling phosphating, outside surface antirust treatment process is mainly blue, cadmium plating, zinc plating, nickel plating surface treatment. – The working pressure is less than 16MPa, the test pressure is 1.5 times. 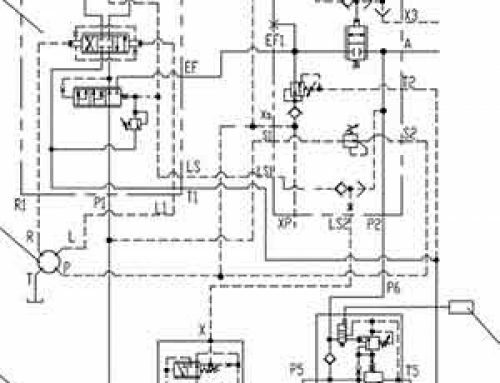 – The working pressure is less than 25MPa, the test pressure is 1.25 times. – The working pressure is less than 31MPa, the test pressure is 1.15 times. – Test holding time is 5 ~ 10min, the sealing surface, the joints shall not have leakage phenomenon.